Arundel. 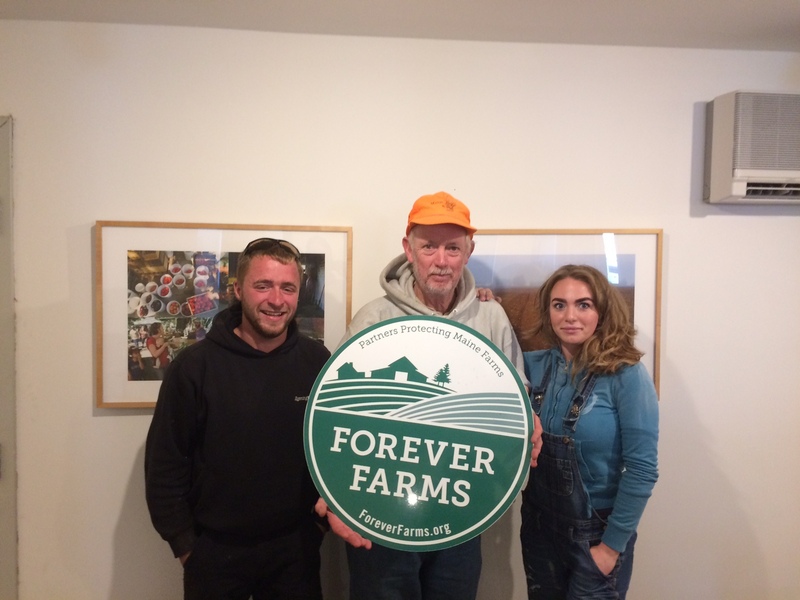 On November 10, farmer Mark Pinette and Maine Farmland Trust signed an easement to permanently protect Hardscrabble Farm in the town of Arundel. The easement ensures that 184 acres of working farmland will remain farmland for the future. Hardscrabble Farm is a productive and growing farm that has been stitched together over the years from several smaller, historic farms – Old Oliver Farm and Highlander Farm. On Hardscrabble, Pinette produces Scottish Highlander beef, pork, lamb, eggs, hay, compost, and lumber products. Pinette also offers farm consulting services. Pinette says he takes conservation very seriously, his attention to best practices and habitat conservation are as ingrained in his farms operations as his commitment to economic success. The protection of his land is an extension of his conservation values, and “Maine Farmland Trust did a fantastic job helping to put this land into a place that I wanted, protected for generations,” said Pinette. The protection of Hardscrabble Farm is part of a broader effort by MFT to increase farmland protection in the Southern Maine counties of York and Cumberland, where development pressure is high, and land prices are often prohibitive to farmers. At the same time, Southern Maine boasts some of the best farmland in the state, and towns like Arundel, located slightly inland from the coast, have a strong farming history.